Often believers ask how they can stand strong in the midst of uncertainty, including danger. Psalm 91:1, KJV, explains exactly how to do that when it says, “He that dwelleth in the secret place of the most High shall abide under the shadow of the Almighty.” But that scripture begs the question: What does “abide” mean? This is important because supernatural security and peace in the midst of trouble depend on it. The word abide means “to dwell in.” That sounds easy enough, but what exactly does it mean? 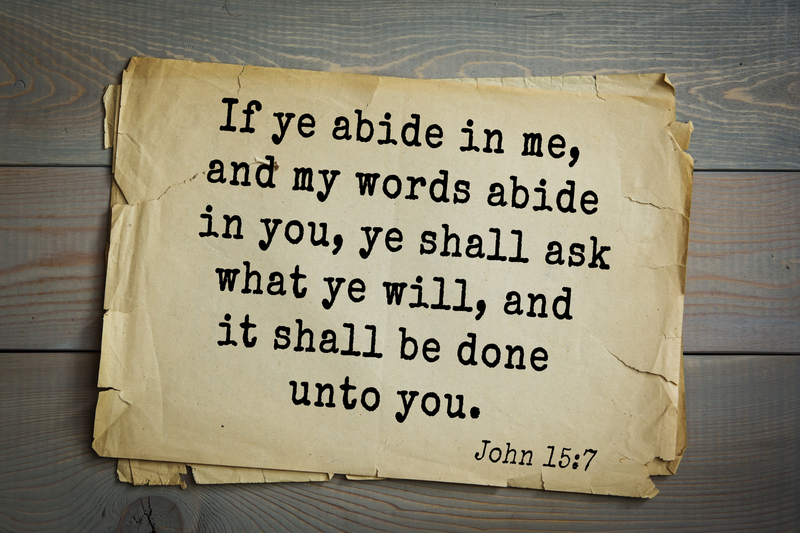 How can you “abide in God’s Word”? The act of abiding in God’s Word is permanent. For example, when you stay at a hotel, you are not abiding there. You are not living there permanently. It’s just a temporary situation. Your home is where you abide. It is the place where you live and find rest. Jesus talked about abiding in John 15:10 when He said, “If ye keep my commandments, ye shall abide in my love” (KJV). In other words, to abide is to be consistently obedient to the Word of God. Many people think they can live any old way and then, when they run into trouble, just holler, “Jesus, help me!” and everything will be fine. But that’s not what the Word says. In fact, Proverbs 1:24-26, AMP, warns that those who don’t listen to and obey the Word of God in good times may find themselves stranded when the hard times come. If you want to experience peace and protection when trouble comes, then you must make the act of abiding in God’s Word a lifestyle. It is not a once in a while thing. It is not something you do when the pressure is on. It’s not something you put on and take off like a piece of clothing. When you abide in God’s Word, you live immersed in it. Trust God and His Word for your protection. Learn what it means to abide in God’s Word for yourself, and then make the decision to make “abiding” a lifestyle. It is the only way to live with certainty and peace, regardless of what the world throws your way.